Join the first label.m global competition! We are scouring the globe in the search of an inspiring individual to become the Face of label.m! Each month our panel of judges will select one shortlisted look to be entered into the competition and invited to the casting. The Face of label.m winner will be styled by our award-winning international artistic team and feature in our prestigious annual label.m campaign shoot in London working alongside top fashion photographers and professional models. Campaign imagery will feature across leading glossy titles to include Vogue, Elle, Cosmopolitan and GQ and will be shown within over 7000 salons and professional academies worldwide, being exposed to fashion and hairdressing elite around the world. And if this wasn’t exciting enough, each month one image with the most ‘likes’ will be awarded the 'Look of the Month' title alongside the 'Face of label.m' shortlisted image, both will receive our label.m exclusive monthly prize. 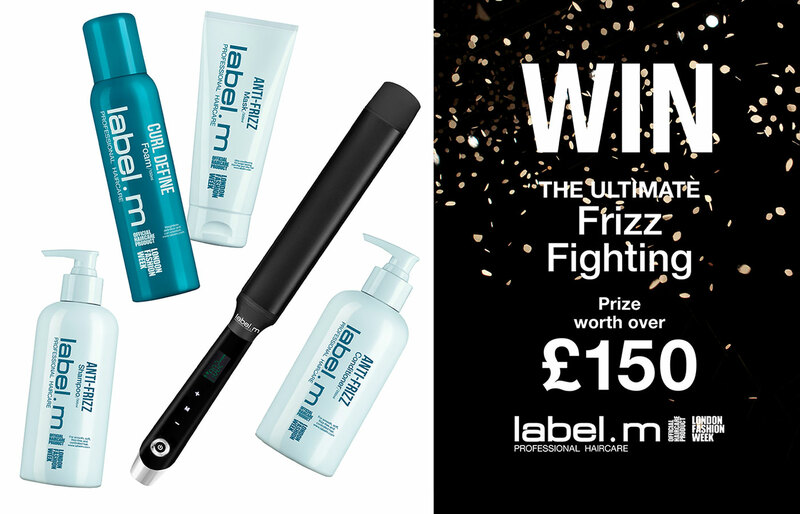 This month we are giving away the ultimate frizz fighting package worth over £150. Keep hair glamourous and frizz-free with products from our anti-frizz range, rich with natural ingredients such as Argan Oil and Juniper Berries to keep hair nourished, glossy and smooth. As an extra treat we’ve included our 4D Infinity waver and NEW Curl Define foam so you can create effortless waves that stay in place all day. Don’t forget to share! The most ‘liked’ looks will help you get noticed and be in with a chance to win our fantastic prizes!